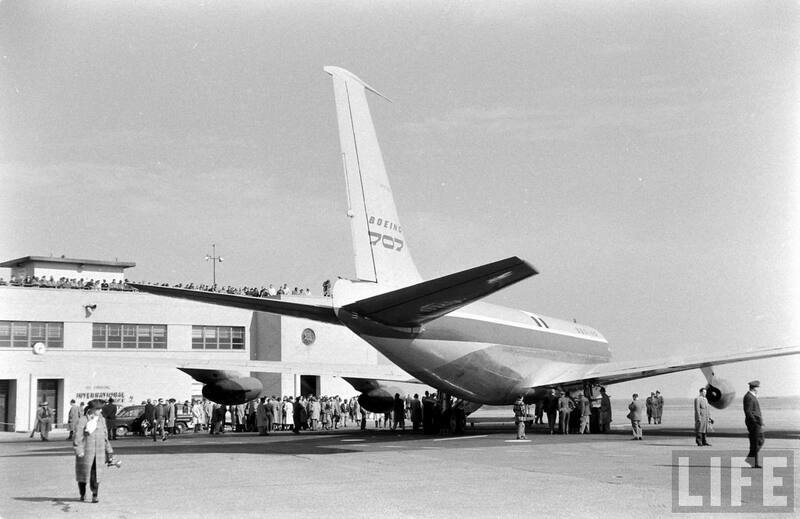 11 March 1957: The Boeing jet airliner prototype, the Model 367-80, N70700, made a transcontinental demonstration flight from Seattle’s Boeing Field (BFI) to Friendship National Airport (BWI), Baltimore, Maryland. 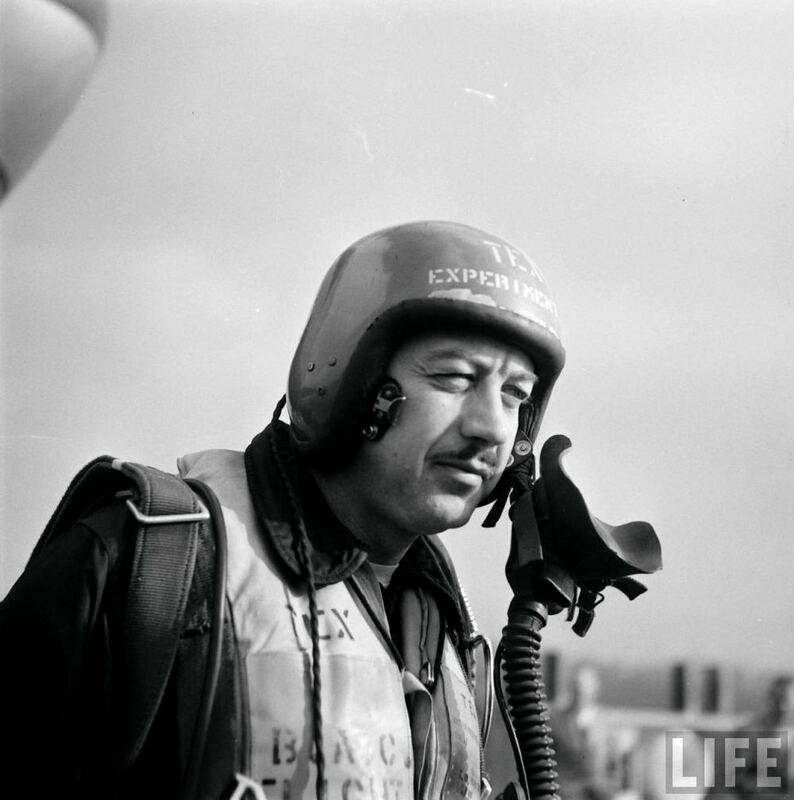 The aircraft commander was Boeing’s Chief of Flight Test, Alvin Melvin (“Tex”) Johnston. 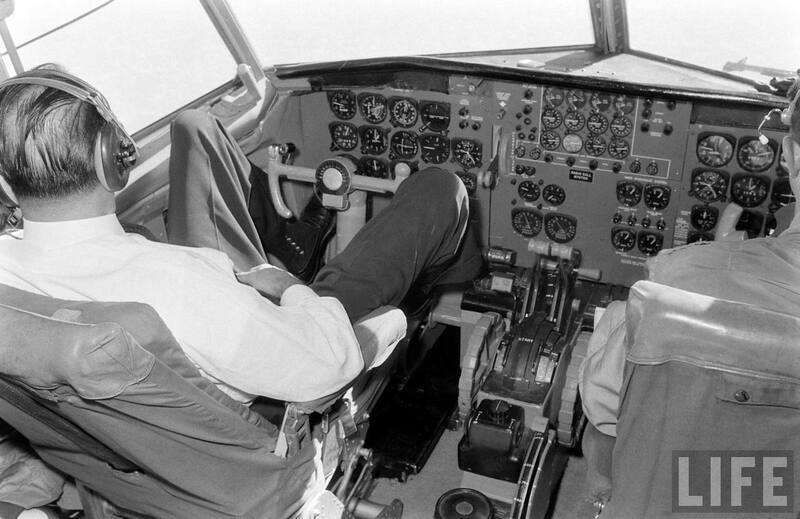 Test pilots James Russell (“Jim”) Gannett and Samuel Lewis (“Lew”) Wallick, Jr., completed the flight crew. 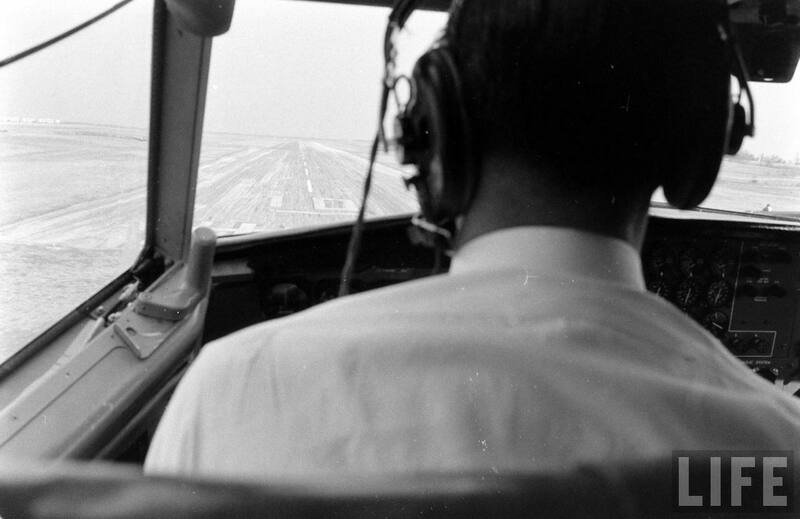 The flight covered 2,350 miles (3,782 kilometers) and took 3 hours, 48 minutes. 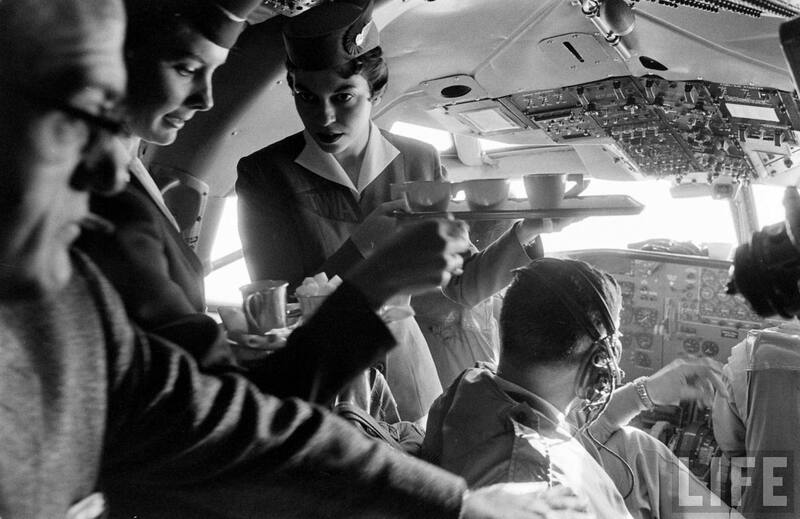 WASHINGTON, March 12 (AP) A Boeing 707 jet passenger plane set a new transcontinental speed record for commercial aircraft yesterday, flying the 2,325 miles from Seattle to Baltimore in 3 hours and 48 minutes. At one point it attained a speed of 698 miles an hour. 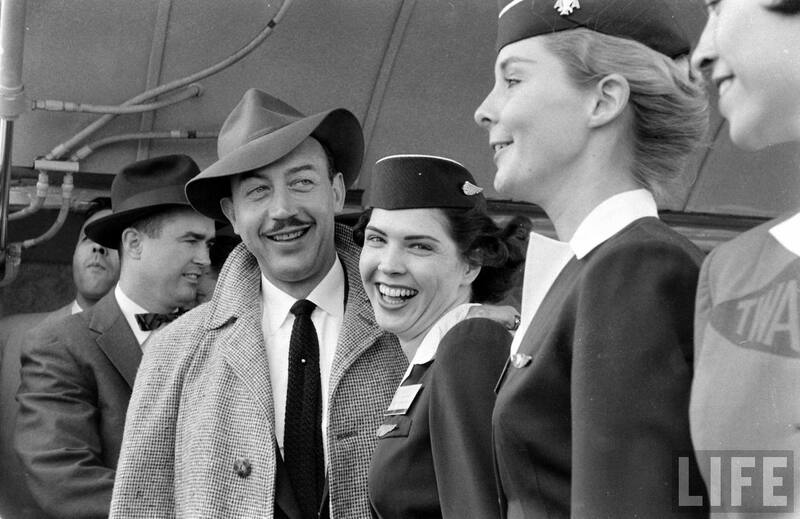 A.M. (Tex) Johnston, Boeing chief of flight tests, said he would fly back to Seattle tomorrow with stops at Chicago’s O’Hare Airport and at Denver. 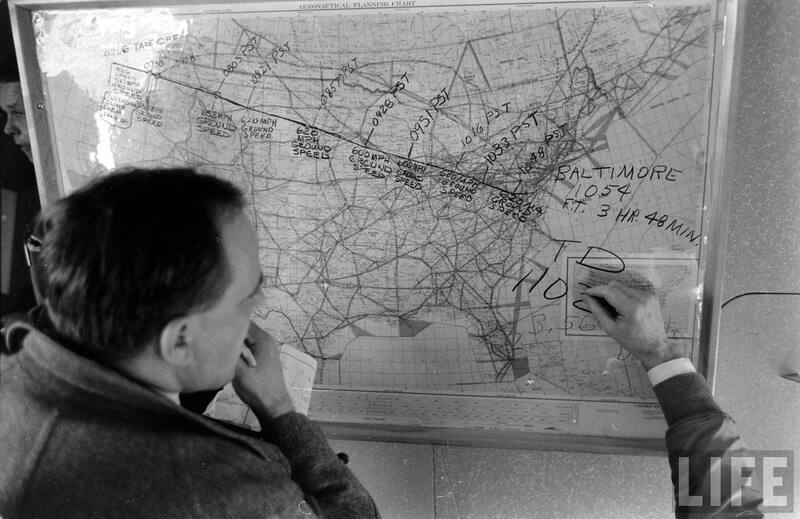 He planned a series of local flights for congressmen, Pentagon officials and experts. 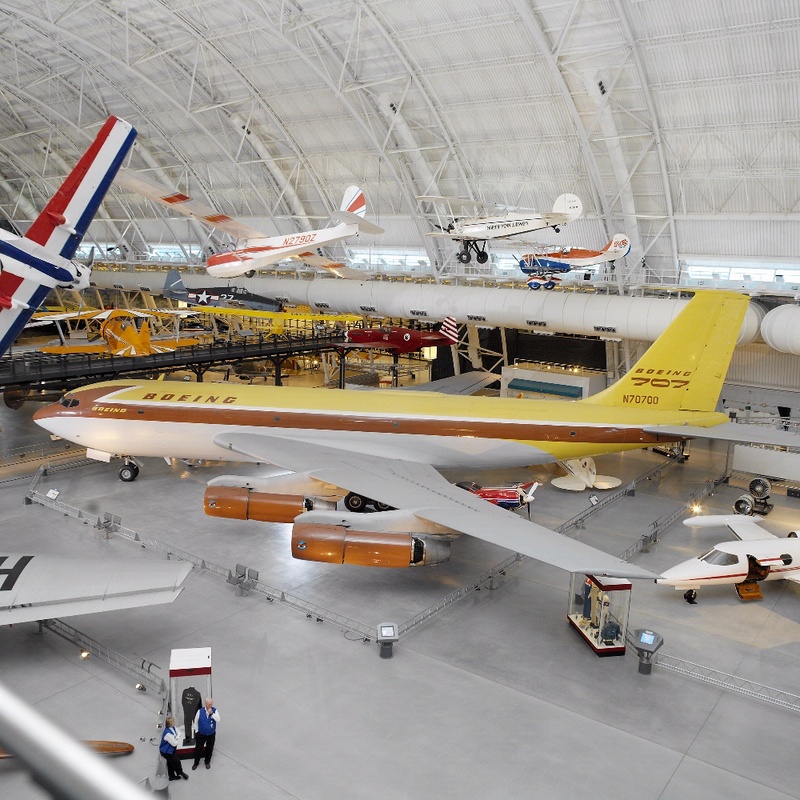 The big plane averaged 612 miles an hour for its Puget Sound-to-Chesapeake Bay flight, and sliced 10 minutes off the unofficial transport plane record it set between Seattle and Washington, D.C., in 1955. There were 52 persons aboard, all but 20 of them newsmen. 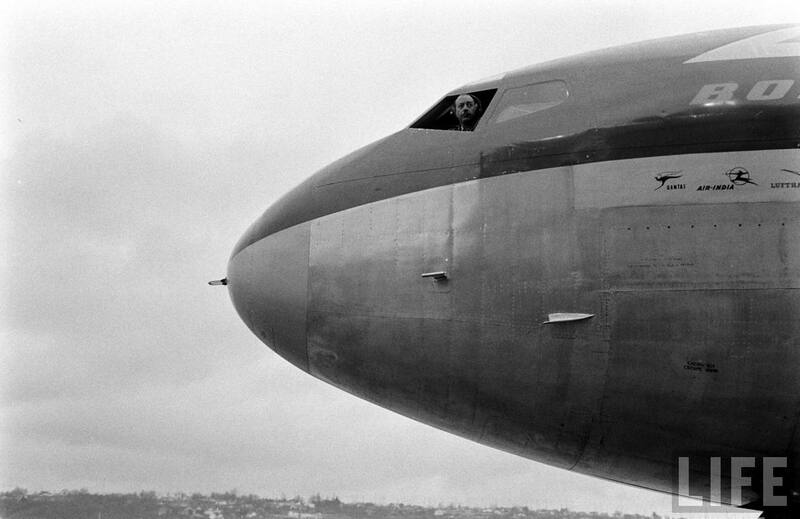 The 707 left Boeing Field at 10:06 a.m., EST. East of Spokane at 31,000 feet, it hit the “jet stream,” a vast windstream with speeds of up to 125 miles an hour. 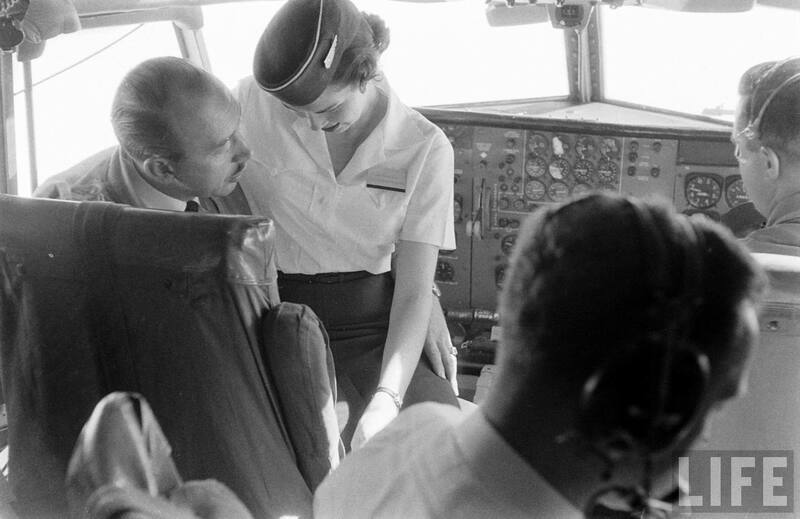 While in the jet stream, the plane’s peak air speed was 596 miles an hour, but at one point the stream boosted this by 102 miles an hour, for a top speed of 698 in relation to the ground. 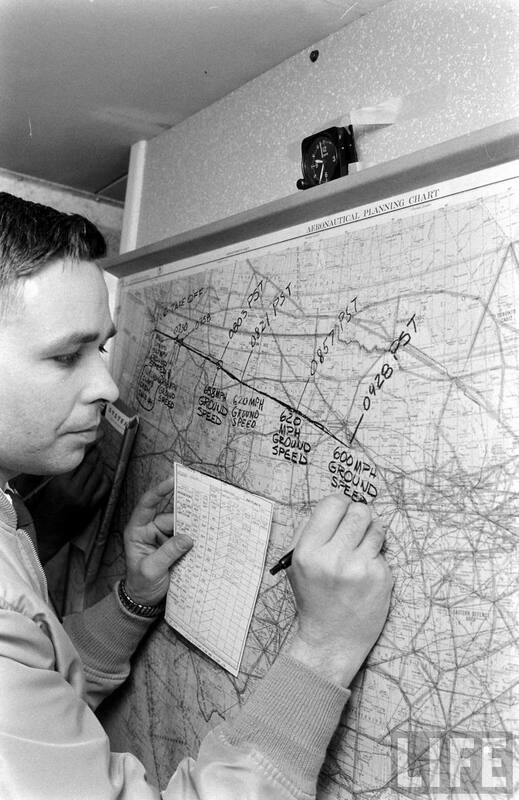 The fastest unofficial transcontinental crossing listed by the Defense Department: 715 mph for the 2,700 miles from Riverside, Calif., to Boston last Jan. 25, by a Boeing B-47 bomber. 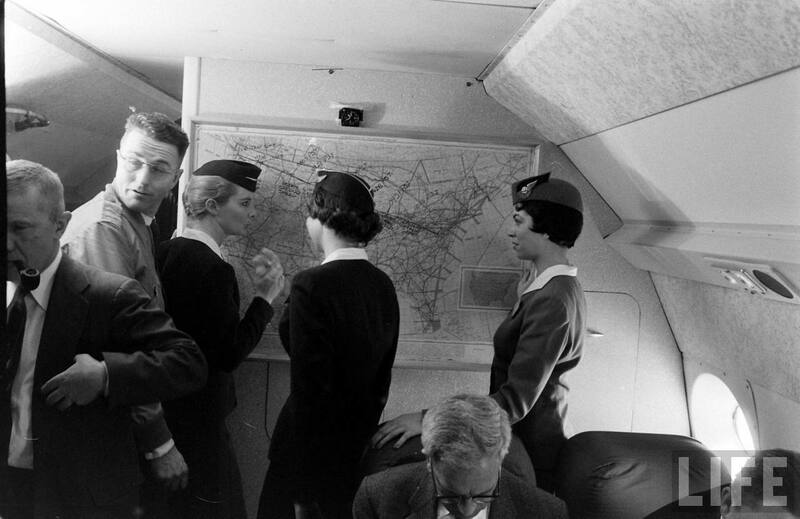 The 707 is to be delivered to its first airline buyers—Pan American and American—late next year and early in 1959. 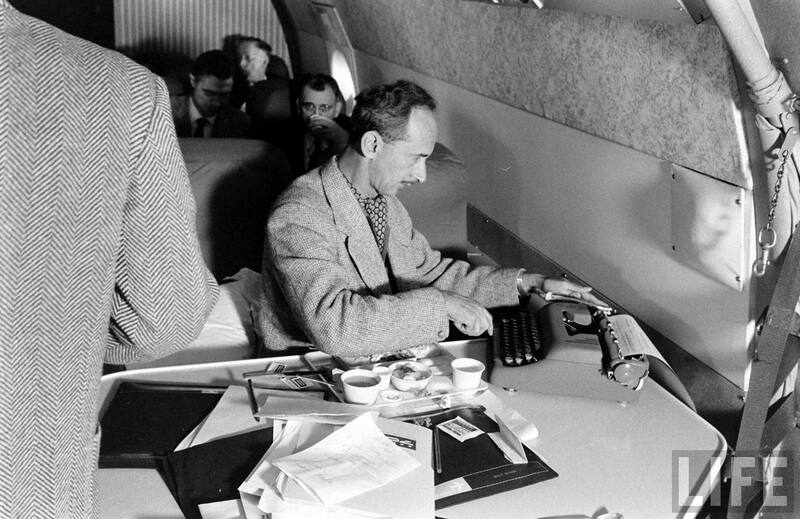 The plane’s cost varies from 4½ to 5½ million dollars, depending on size and range, Various models will carry from 120 to 162 passengers. 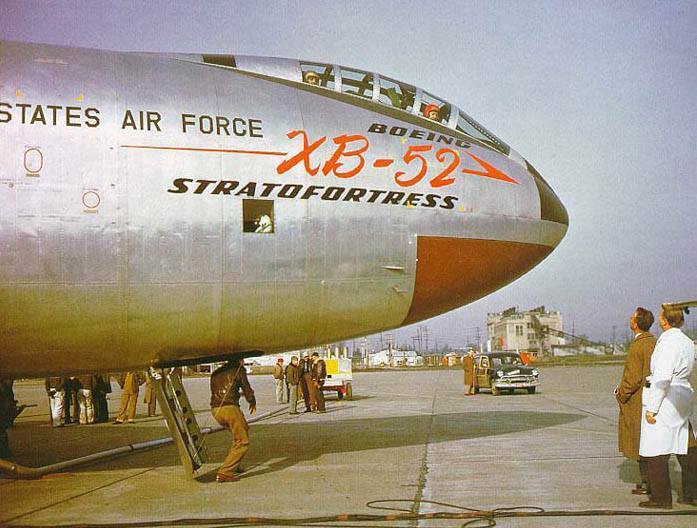 2 October 1952: The Boeing XB-52 Stratofortress prototype, 49-230, made its first flight at Boeing Field, Seattle, Washington, with test pilot Alvin M. “Tex” Johnston in command. 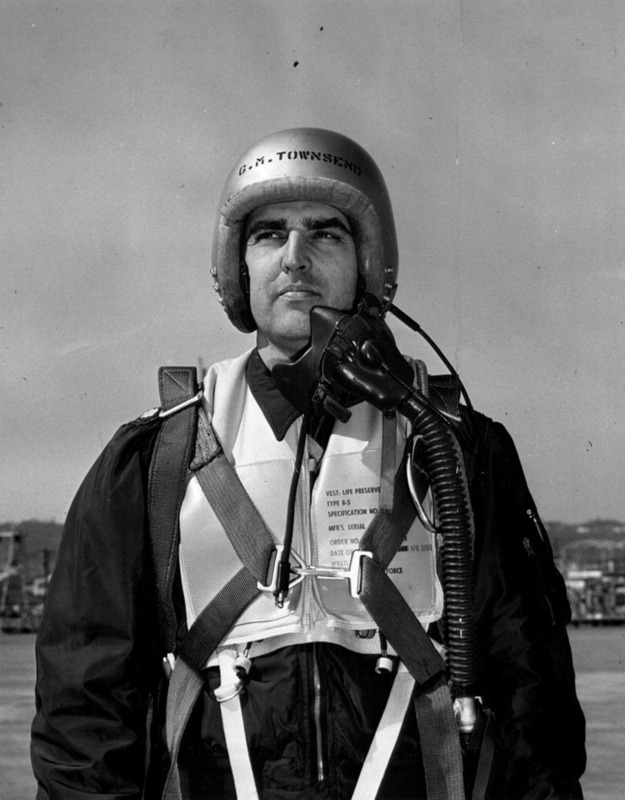 Lieutenant Colonel Guy M. Townsend, U.S. Air Force, acted as co-pilot. 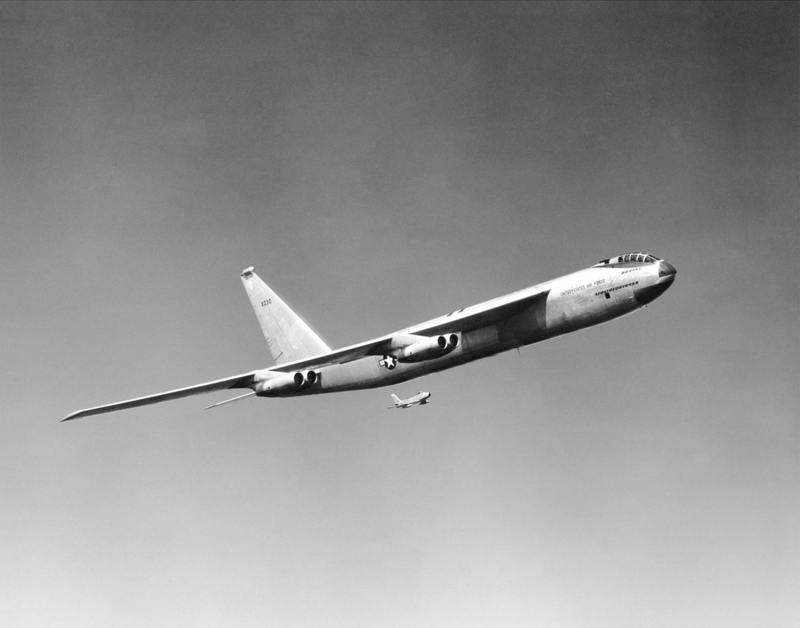 The first of two prototype long-range, high-altitude, heavy bombers, the XB-52 had been damaged during ground testing and extensive repairs were required, which delayed its initial flight. 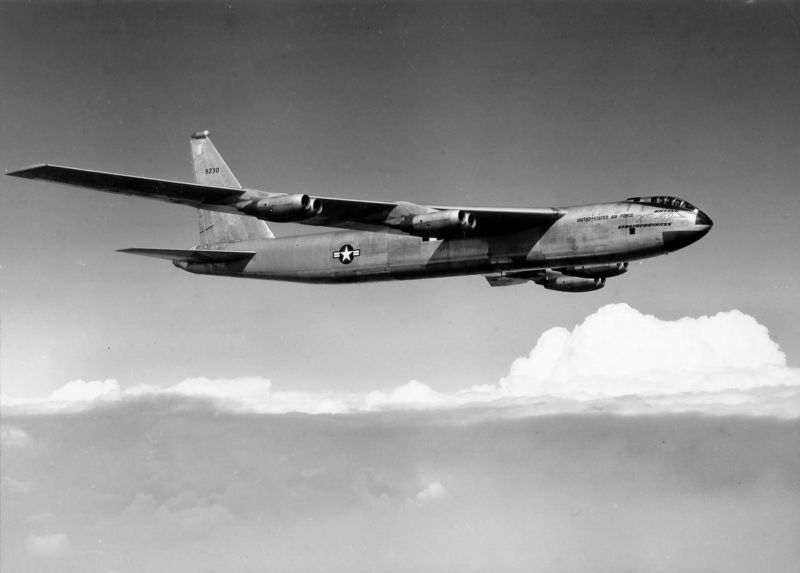 The second prototype, YB-52 49-231, made the type’s first flight nearly six months earlier, on 15 April 1952. The prototype Stratofortress the largest jet aircraft built up to that time. It was 152.7 feet (46.543 meters) long with a wingspan of 185.0 feet, (56.388 meters) and 48.25 feet (14.707 meters) to the top of the vertical fin. The leading edges of the wings were swept back 36° 54′. 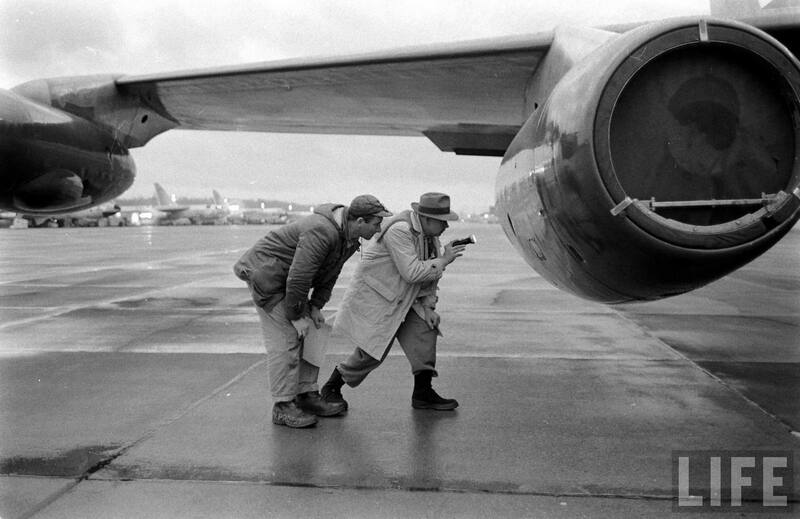 The XB-52 had an empty weight of 155,200 pounds (70,398 kilograms) and its maximum takeoff weight was 390,000 pounds (176,901 kilograms). Fuel capacity was 27,417 gallons (103,785 liters). The XB-52 was powered by eight Pratt & Whitney YJ57-P-3 turbojet engines, with a normal power rating of 8,700 pounds static thrust at Sea Level (38.700 kilonewtons). The prototype bomber had a cruising speed of 519 miles per hour (835 kilometers per hour), and a maximum speed of 611 miles per hour (983 kilometers per hour) at 20,000 feet (6,048 meters). 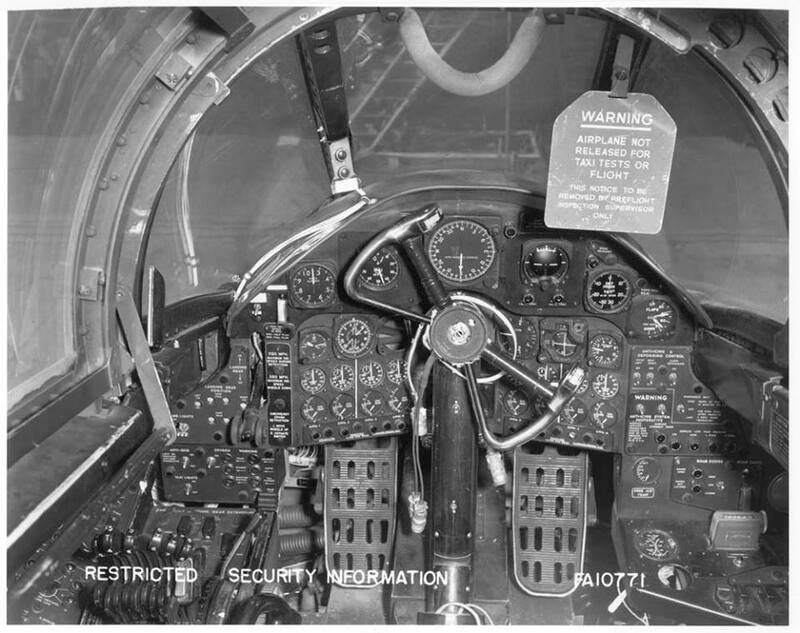 The planned bombing altitude was 46,500 feet (14,173 meters) and it had a service ceiling of 52,300 feet (15,941 meters). 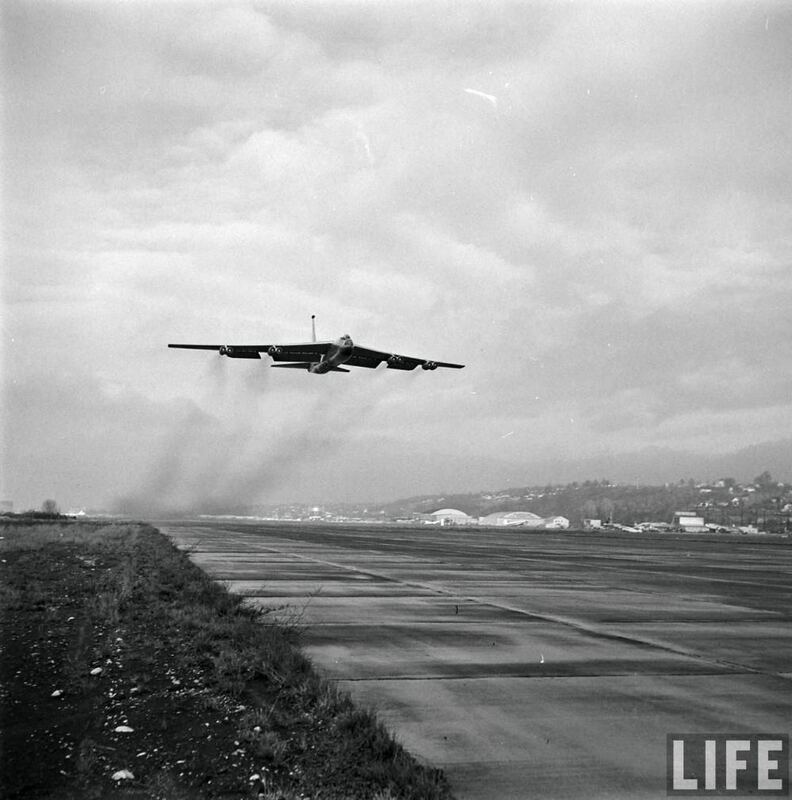 The XB-52 had an initial rate of climb of 4,550 feet per minute (23.11 meters per second) at Sea Level. Its maximum unrefueled range was 7,015 miles (11,290 kilometers). 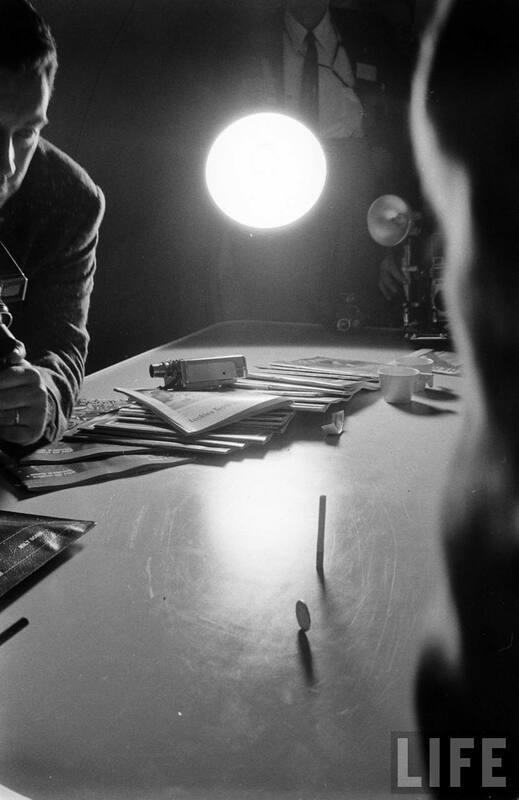 In its original configuration, the XB-52 was armed with two .50-caliber machine guns in a turret in the tail, with 600 rounds of ammunition per gun, though these guns were not installed on 49-230. The XB-52 was designed to carry a single 25,200 pound (11,431 kilogram) T-28E2 Samson bomb, or other conventional or nuclear weapons. 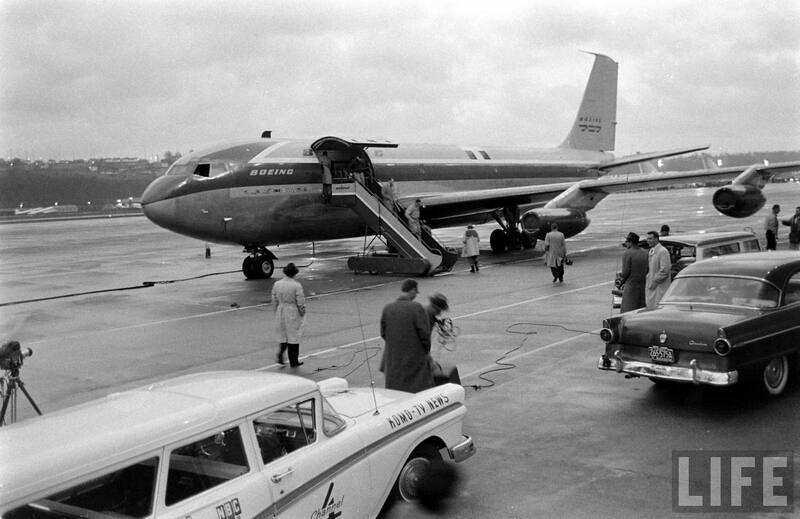 XB-52 49-230 was used in flight testing for its entire service life. 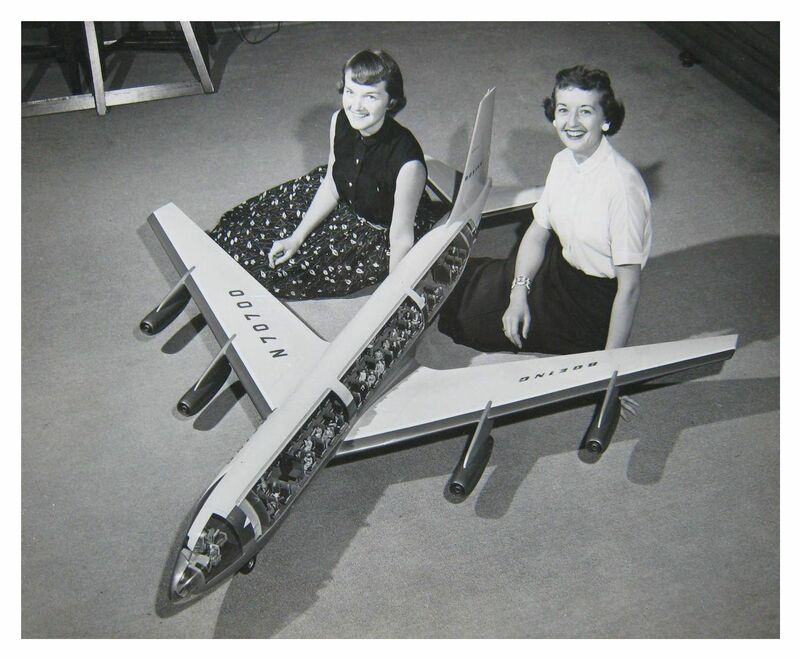 The airplane was scrapped in the mid-1960s. 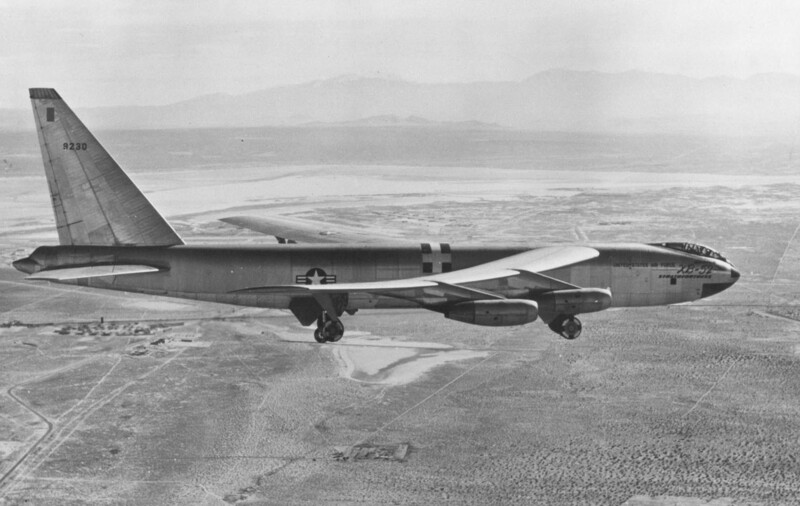 744 B-52 bombers were built by Boeing at Seattle, Washington and Wichita, Kansas, with the final one, B-52H-175-BW 61-0040, rolled out 22 June 1962. 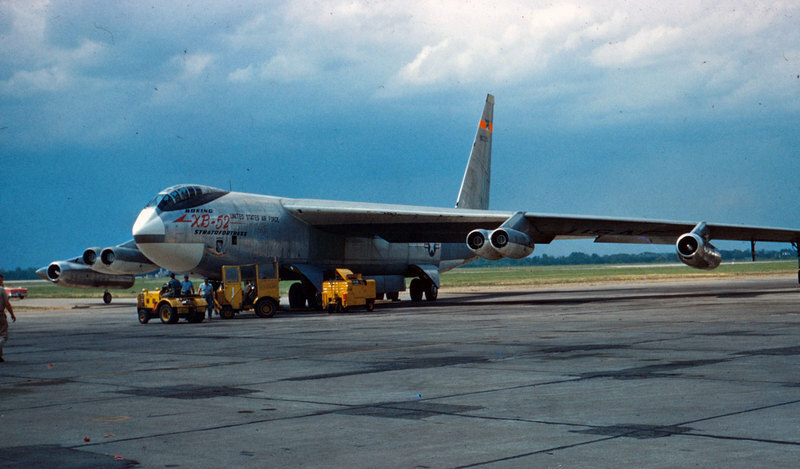 75 B-52H Stratofortresses are still in service with the United States Air Force.